KEMWorks Library | Phosphate Project Development: Phosphate Mining; Beneficiation; Phosphoric Acid; and Fertilizers. Beneficiation and Phosphoric Acid Pilot Plant Testing. 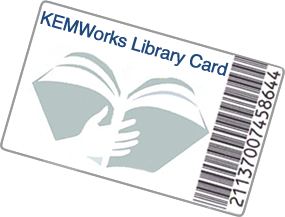 Conference presentations and reports from KEMWorks experts are ready for your download. We will continuously add new resources to our library for your convenience. Register for access to our free online library. The library uses your email address for your username, and you may set your own password. Note down your password for future access. On registration, you will also receive an email with your account details. However, if you forget your password, use the Reset Password function on the left under the Library login box. You will then get instructions via email to reset your password.